Monday – Friday, August 6 – 10. 10:00 am – 2:30 pm. Check-in & Auditions: Monday at 9:30 am, auditions begin at 10 am. 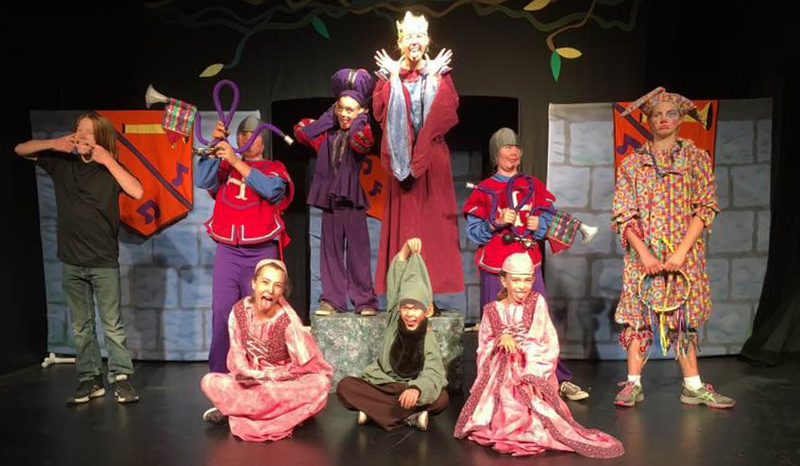 Missoula Children’s Theatre (MCT) returns to Gunnison with all the materials it takes to put on a play… except the cast. Approximately 45 roles are available for students ages 6 – 18. The show will be rehearsed throughout the week and culminate in three performances for the community. Students must bring a clean sack lunch every day. When students are not in the Theatre, they will be immersed in art projects in the Art Studios. Every student that is registered for the camp is guaranteed a character role. Auditions are to set characters. Pre-registration is required. Scholarships Available! Performances will be held in the GAC’s Black Box Theatre on Saturday, August 11 at 1, 3 & 5 pm.